Our Sweetgrass is harvested in Canada. 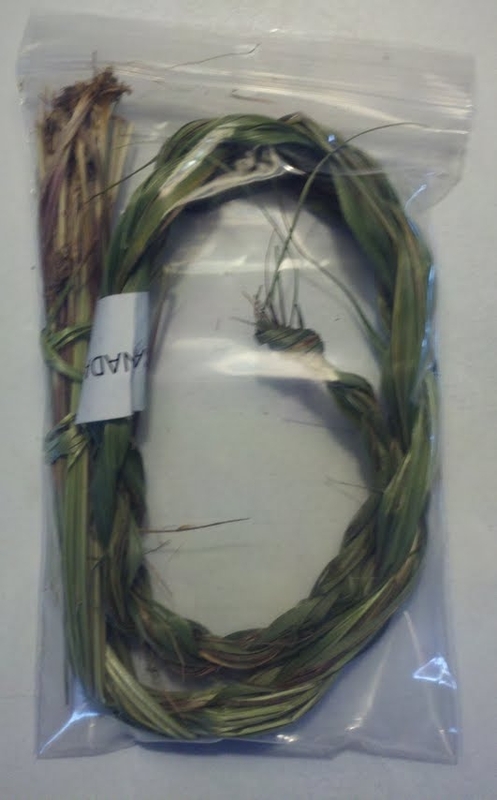 This batch of braided Sweetgrass is very potent and green and measures approximately 21" - 24" in length, lengths may vary slightly. Traditionally, Sweetgrass is hung inside the home and or burned for smudging purposes. According to Native Americans, Sweetgrass is said to provide protection. 100% Pure, natural, wild-crafted, hand-picked by sacred practice. Useful in smudging ceremonies to cleanse the air of negativity, purifying objects-people and animals. Smudging relaxes and calms the mind allowing one to meditate more fully and focus on the task at hand. Smudge rooms for 15 to 20 minutes before gatherings when you wish to help people become calm and settled.